Our Masks 101 post has always been one of our most popular masks – as we do every year, we’ve updated this post with the newest mask innovations and tips straight from Korea. The latest buzzword in skincare have been masks. Masks are essentially at-home facials with a variety of ingredients and formats that do everything from nourishing, hydrating to deep cleansing. The best thing about masks are their versatility and you can easily add a mask or two to your skincare regimen depending on your skincare needs. So among the hundreds of masks in the market – what do you need? What’s essential? Here’s your cheatsheet on the most common types of masks. Rubber masks have been used at celebrity spas for years and are a favorite among Korean influencers for maintaining a flawless complexion. 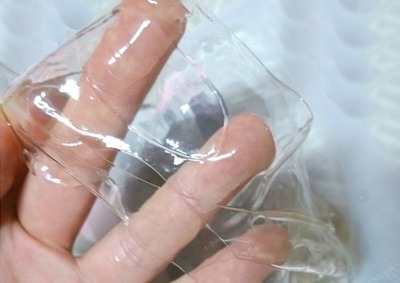 Called ‘modeling packs’ or ‘rubber packs’ locally, the dense rubber helps to seal in minerals into skin, leaving it cooled, clarified and baby soft without evaporation. Rubber masks often contain the ingredient ‘Alginate’, a kelp derivative that ‘congeals’ when in contact with water. Select your nourishing flavor of choice and add water to fill your cup just below the given line of measurement (we have found that filling it with a little less water makes for an even easier application). Note that the texture should be comparable to dense brownie batter. Stir your vitalizing concoction together until a thick, gummy texture has been created. Begin to paint your facial on, beginning with the cheeks and chin, and ensuring that the edges of your face are thick enough to to help you peel off this mask at the end. The thicker this layer is, the better – it will be easier to peel off. So yes, use every last drop in that cup! Wait just ten minutes until the texture of the mask has transformed to its rubbery state and begin to slowly peel the mask off starting from the bottom to better lift impurities from your skin – creating that bright, healthy glow. See this 15-second Instagram video for this powder to rubber transformation in its texture! Check out our collection of Lindsay Rubber Modeling Masks here! Rubber masks are great for all skin types but work especially well for combination skin types that need balancing, soothing and pore cleansing. These masks are usually in a cream or gel type and have humectants like hyaluronic acid/ sodium hyaluronate or nourishing ingredients like shea butters to help hydrate and nourish the skin. Wash-off masks are meant to be applied directly on skin after cleansing and toning and washed off anywhere after 10 to 20 minutes. While some products say to wash off with a cloth, this is not mandatory – warm water will always do the trick. After using a wash off mask, resume with your skincare routine by applying eye cream, serum and moisturizer. If you don’t love using wash off masks because of the mess, try using it while taking a bath. An example of a wash off mask is the new I’m From Honey Mask – this luxurious, indulgent mask can be slathered generously on the face and washed off after 10~15 minutes. Our newest curations – delectable mask treatments from I'm From. Try the honey mask to nourish and brighten and the volcanic clay to deep cleanse and minimize pores. The latest evolution in wash-off masks is the sleeping mask – meant to be applied at night and washed off with a gentle cleanser in the morning. Our newest sleeping mask launches include Goodal’s Brightening & Moisturizing Want Night Sleep Masks, in addition to our bestselling Anti-Wrinkle version. The creamy Anti-Wrinkle version is great for drier skin types, where as the gel texture of the brightening and moisturizing masks are great for all skin types. Peel-off masks are applied to skin and peeled off once dry, which can take anywhere from 5~15 minutes. These masks can come in both a gel format that dries to a thin film, or a paper peel-off mask (ie. nose strips). Because of the peel-off action, these masks are often meant for exfoliation, blackhead removal or removing impurities from skin. While different things work for different skin types, we aren’t particularly fans of the peel-off mask due to the potential irritation from manually peeling off dried product from your skin. If you are using a peel-off product, it’s essential that it doesn’t dry down to the point where you need to pull at your skin to remove it. Clay masks contain nutrient rich muds from different locales or kaolin, which help to cleanse congested pores and draw out impurities. Clays have what is called a ‘capillary action’, which allows it to naturally absorb sebum and grime from the skin. A clay mask is great to use as a once a week complexion ‘detox’, but it’s important to not let it dry to a hard, brittle shell on your skin. While there’s a common belief that once it’s dry, the clay is done working – this just means that the skin underneath is dried out as well. Apply a sufficient amount to skin, so that the clay remains moist during the recommended usage time. Rinse off with warm water and resume the rest of your skincare. Our newest clay mask is the I’m From Volcanic Mask, which is formulated with mineral rich volcanic clay from Jeju Islands, Korea. Clay masks work for all skin types, but if you have drier skin, we’d recommend to use only in the T-zone area, or once a week versus oilier skin types that can use clay based masks more often. Sheet masks are the new kid on the mask block. Long before sheet masks became a staple in Korean skincare regimes, geishas would boil water underneath flowers and herbs, then capture the steam on a piece of kimono silk, which they would then apply to the face. In Asia, these offerings range anywhere from one dollar sheet masks to premium sheet masks that are soaked in an entire bottle of serum and cost dozens of dollars per piece. The portability and ease of use have catapulted sheet masks to rock-star status in Asia and they’ve just started to gain traction stateside. Korean women have also moved from fabric and cotton sheet masks to newer textures such as hydro-gel, biocellulose and even sea kelp. These types of sheets hold more ‘juice’ (the industry term for the essence/ serum that the sheet mask is soaked in) and adhere more closely to the skin for instant results. Since sheet masks literally ‘wrap’ the skin for a prolonged period of time, we always look for paraben and mineral oil free offerings. Splash Masks are a concentrated liquid treatment with a blend of skin re-texturizing lactic acid and soothing, hydrating botanicals. It’s inspired by a long time bathhouse tradition of women using botanical steeped waters to splash on the face to help tone and brighten skin. 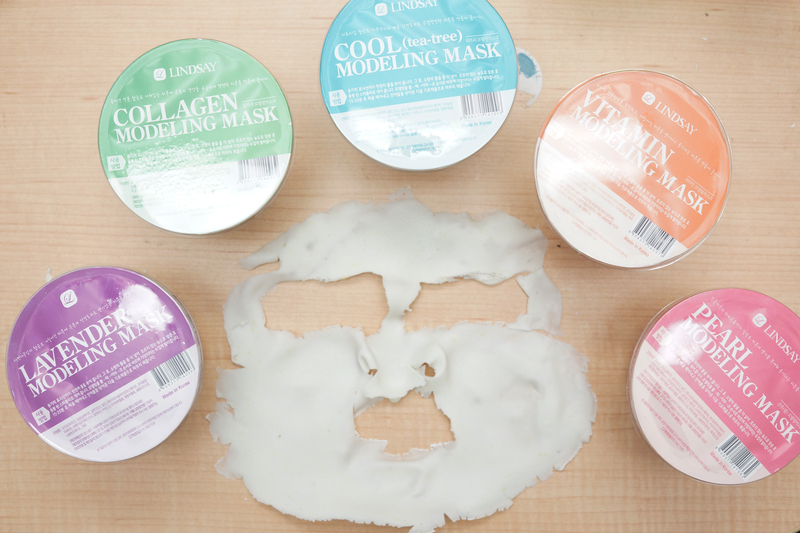 These masks only need 15 seconds to provide the same benefits as a 20 minute sheet maskwould. Pour a capful of this liquid treatment into palms in the shower and splash and pat onto the face for a few seconds. Then use water from the shower to splash and pat the face – repeat several times. This new category in masks will give you an instant boost in radiance. Blithe Splash Masks come in Rejuvenating Purple Berry, Soothing Green Tea and Energizing Citrus. Always, always use a spatula or clean tea spoon to remove product from a mask in a jar. While we often dip our fingers in jars of eye creams or creams, since the use-up rate is usually within a few months, the preservative system within the formula will help control the spread of bacteria. However, we find that people often use the same mask jar for 6 months or more – this means you need to take extra steps to keep your product hygienic. Don’t be afraid to mix and match! The best thing about a mask is the versatility – while your normal skincare regimen may treat your break-out prone combination to oily skin, you can easily try a soothing, hydrating leave on mask if your skin is feeling irritated and tight. We recommend that at minimum to have on hand, one mask that helps to nourish and moisturize skin (like a sleeping mask or sheet mask) and one that helps to deep cleanse (like a clay mask). This way you can customize your skincare routine based on what your needs are and how your skin is responding to the season and environment. Shop Glow Recipe Approved Masks! Can you use different combination of the masks more than 3x a week? I love the rubber masks and the sheet masks so much! They leave your skin like new! My skin has never been better since using Korean skin care!